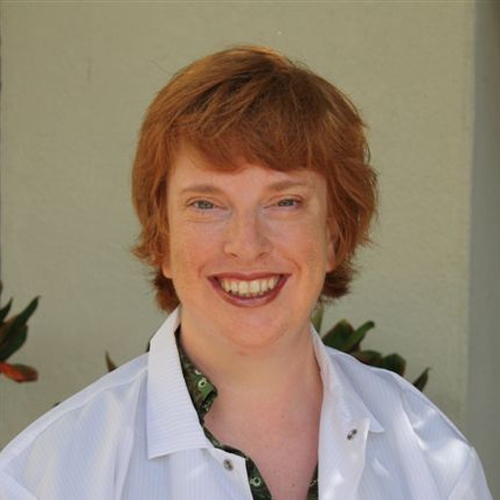 Helen Turner is Vice President of Innovation and Dean of the Division of Natural Sciences and Mathematics at Chaminade University in Honolulu, Hawaii. She is a tenured Professor of Biology at Chaminade, and holds an affiliate Professorship at the University of Hawaii School of Medicine. Dr. Turner moved to the U.S. in 1998 from her native England. After completing her Ph.D. at the University of London she carried out post-doctoral work at Harvard medical School as a Wellcome Trust International Prize Travelling Fellow. In 2000, she accepted a position as Associate Director of Research and Professor at The Queen’s Center for Biomedical Research in Honolulu. Here, she built a successful and internationally recognized research laboratory, receiving her first NIH RO1 grant at the age of 30. Her research interests focus upon information transmission in the immune system, specifically on the molecular mechanisms that activate the pro-inflammatory mast cells. She has trained numerous graduate students and post-doctoral fellows for successful careers in academia, industry and science policy. She is a sought-after reviewer of Federal and Foundation grants, and sits on a number of executive boards for research and training initiatives in the sciences. Since joining Chaminade in 2007, Dr. Turner has fostered transformational growth in the sciences. As a Federally-designated Native Hawaiian serving institution, Chaminade is positioned to lead in undergraduate science education, serving students and community in Hawaii and the Pacific. She has led the $14m renovation of instructional and research laboratories, raised $20m in funding for the initiation of a BSN program, and secured Chaminade’s first major research and programmatic funding from agencies such as NIH, NSF and the Department of Defence. New faculty hires and major instrumentation grants have invigorated the undergraduate experience in sciences, and complete curriculum revision in computational sciences and the biological sciences has been completed. Curriculum and faculty research interests now align around the mechanisms and epidemiology of diseases that disproportionately affect the peoples of the Pacific, allowing the University to envision itself as a center of excellence for training and education in this field.